Golden Oldie: Joe Higgs — “Come On Home” [Micron Music Limited]. I already love reggae, but this track especially appeals to me. The rhythm, the poetry of the lyrics and the atmosphere of the track are all perfect. New Classic: Magical Mistakes — “With Love (feat. Jake Falby)” [Day Tripper Records]. This is from one of my top three favorite domestic club-music releases, and a top one from Day Tripper Records. The tune is based on the arrangement of acoustic sounds. I could put it on repeat, and I think everybody should hear it. This fall, I had a lot of opportunities to drive around in nature, where I listened to this album (along with Ametsub’s new release) on heavy rotation. Floor Filler: Jeremih — “Late Nights” [Def Jam/Independent]. From Jeremih’s free mixtape—there are a whole lot of dance elements packed into this track. It’s also essential for cruising around in my car at night (along with Tommy Guerrero). Must-Listen: Death Flamingo into the Memai — “Crayon Eater” [Day Tripper Records]. From their new release on Day Tripper Records, no song in recent memory has bewildered me as much as this tune. Perhaps it will confuse a first-time listener, but I feel the piece demonstrates the group’s creative breadth and exhibits the unique identity of the Kansai’s music scene. Set Closer: Taquwami — “Attraction” [Void Youth/Independent]. This track is bright and blaring, and though it might not fit the whole mood of my DJ set, it’s something I like to try out sometimes. Morning Commute: Sun Glitters — “Breathe In (feat. Bvitae)” [Independent]. I listen to this tune often when I’m riding my bike in the morning and when I take a bath at night. It has a sound that allows me to get in touch with my inner self. It’s a good tune for thinking. Going Deep: PFG — “Neutron Part II” [ILYA]. 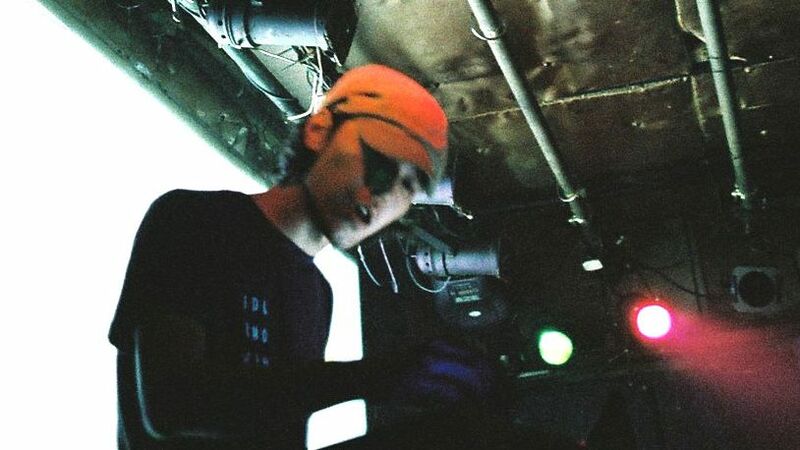 This is the first track of the first new release from previously dormant Kyoto-based label ILYA. It has this dub-techno feel and really radiates on the dance floor. ILYA focuses on Russian and Romanian house music, and it’s really exciting to see what they are going to put out next. Meditation Time: Shotahirama — “Nothing but You and Me” [Signal_Dada/Independent]. I recently saw Shotahirama live and it left quite an impression. I’d been listening to Shotohirama’s work since his first release, but compared to his earlier pieces, his new sound has this particular degree of density, and the sound evokes a certain emotional empathy. I’m really excited to see where he goes from here. Eadonmm plays Circus in Osaka on Jan. 27 (10 p.m.; ¥2,000 in advance; 06-6241-3822). For more information, visit www.idlemoments-jp.com.